When your smile isn’t as perfect as you want it to be, there is dental help you can receive to improve your teeth almost instantly. Dental veneers are the quick solution to those with dental imperfections. The veneers in Las Vegas at Pointe North Dental will bring you the smile you’ve only dreamt of having. Our staff makes the veneer procedure go smoothly and get you to the perfect smile to brighten anyone’s day. Many people never show their smile because they are embarrassed by the chips, gaps, and misshapen in their teeth. With dental veneers, you hide your imperfections and leave you with a smile you’ve never thought possible. Veneers are the customized piece of porcelain made to recreate the look of teeth and leave the patient with a perfect smile. We do the dental veneers in Las Vegas the comfort of the Pointe North Dental office. Our dentist picks the right shade of veneers to match the rest of your existing teeth for a seamless transition. Pointe North Dental will work with you to ensure your veneers look as natural to your mouth as possible. We want you to have the smile you will want to show to everyone. 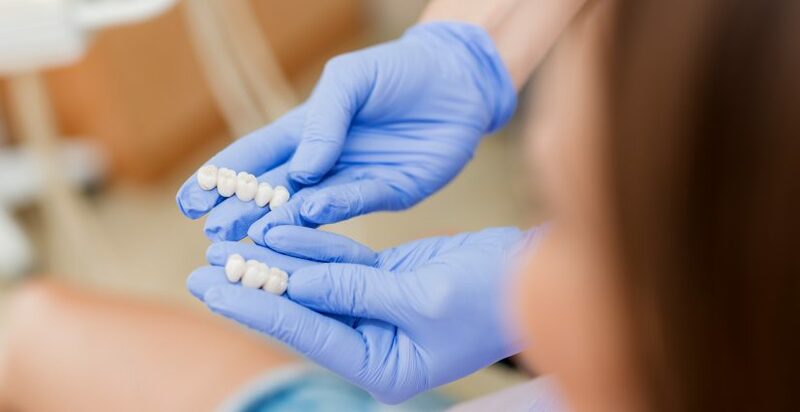 We are the leading best dental veneers in Las Vegas, and we ensure our patients have the best experience possible when they visit us to fix their dental imperfections. Our dentists will only provide you with the best results for your veneers. We work with you to ensure you feel secure with our decision to get veneers. Pointe North Dental is ready to help you with your dental needs. Get Your Veneers in Las Vegas with Us Today! Are you ready to get the perfect smile you’ve always dreamed of having? Let Pointe North Dental give you something to smile about again. Contact us for your dental veneers in Las Vegas today!